Beaver Dyke Reservoir is one of four small reservoirs in the valley of Oak Beck, situated between Harrogate in the east and Washburndale to the west. The reservoir is at the far end of the parish of Haverah Park the origins of which date back to the medieval period when it was a hunting forest. 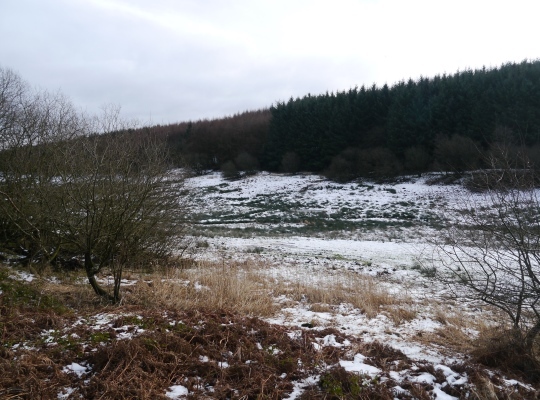 On the OS Explorer and Landranger maps Beaver Dyke Reservoir and its near neighbour John O Gaunts Reservoir are labelled collectively as the Beaver Dyke Reservoirs. However, a Yorkshire Water signpost next to the latter reservoir clearly gives its name as John O Gaunts Reservoir. 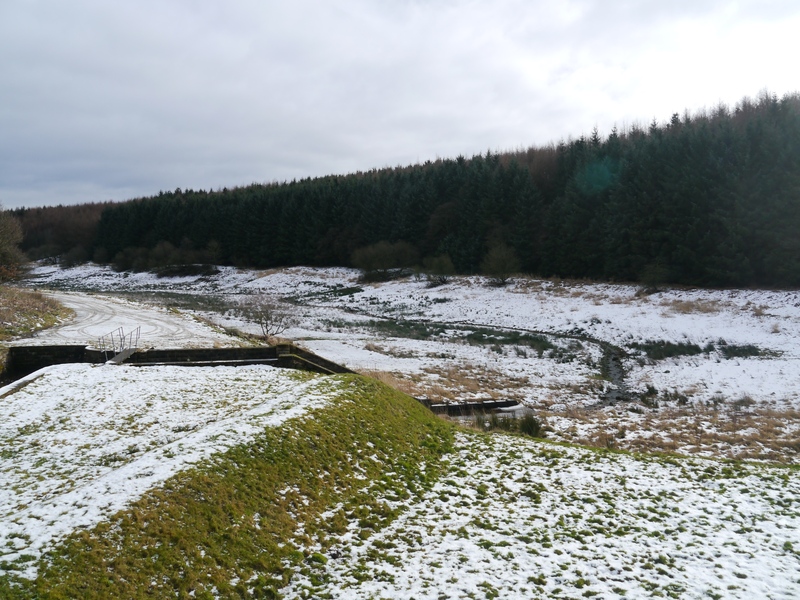 Both reservoirs were constructed in 1890 to supply water to Harrogate. Beaver Dyke Reservoir had ongoing problems with blue-green algae and due to the associated costs of maintenance it was decommissioned in the winter of 2013-14. Unfortunately I didn’t visit the reservoir until January 2015 by which point it was completely empty.